The great thing about the alternative metal push in the early ’00s was that headline bands recognized they all had a distinct sound and did their best not to copy one another. Everyone following them, however, did, and have not stopped since 2001. 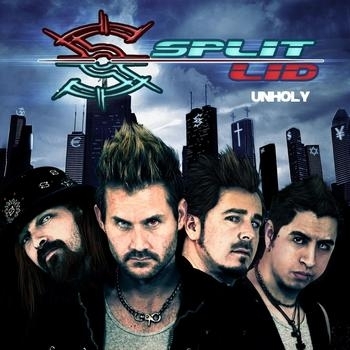 Split Lid and their latest album, Unholy, are no different. Each member has exceptional skills and singer Chad Passa has a grungy vocal range to die for, but it feels squandered on a sound that played out years ago. As an experiment, I downloaded the entire album along with Godsmack’s Awake and put them both on random … I could barely tell the difference. Everything from the vocal track to the drum beats to the cheesy cover art feels as if they tossed their favorite rockers into a blender and poured that musical shake into Garage Band. If you love the sound of that era, it’s worth a buy.